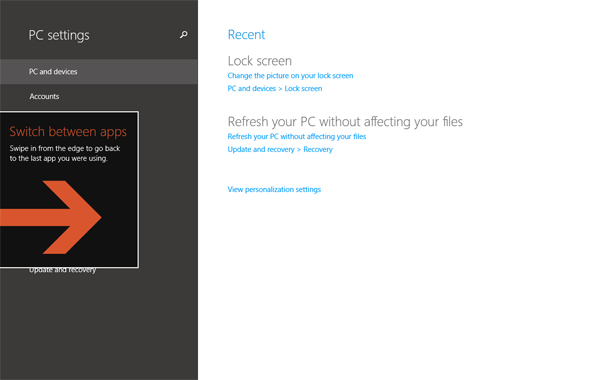 Help tips in Windows 8.1 were designed to show users how to access the various hidden menus introduced in Windows 8 that are accessed by swiping from the edges of the screen. While these tips can be helpful for new Windows 8 users, they can be very annoying for others and in some cases, very difficult to dismiss. I use a number of virtual machines to research and test tweaks that I write about. With VMware based virtualization products, I noticed that by default they simulate touch hardware on non-touch devices. This can actually be helpful when researching some tweaks, but it makes it impossible to make the help tips go away. They remain on screen covering important content until I switch back to the desktop. Thankfully there is an easy way to disable these help tips for situations where they are not needed. Click on the Start Button and type in gpedit.msc and hit Enter. Navigate through Computer Configuration, Administrative Templates, Windows Components and finally Edge UI. 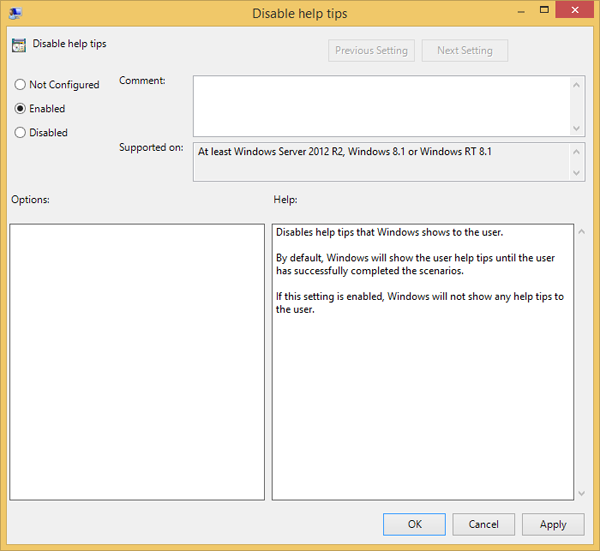 Right click on Disable help tips and select Edit. Select Enabled and click OK and help tips are now disabled. 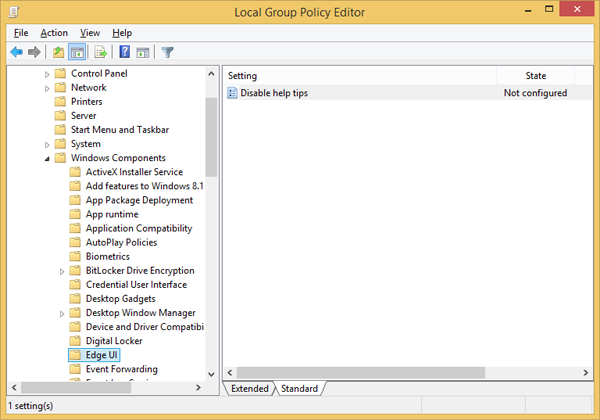 Navigate through HKEY_LOCAL_MACHINE, SOFTWARE, Policies, Microsoft and Windows. Next we will need to create a new key called EdgeUI if one does not already exist. Right click on the Windows key and select New and then Key. Name the new key EdgeUI and hit Enter. Right click on the EdgeUI key and select New and then DWORD (32-bit) Value. Name the new DWORD DisableHelpSticker. Right click on the new DisableHelpSticker DWORD and select Modify. Set the value to 1 and hit OK.